DevOps. What is it? What does it do? What do I need to know about it? When someone hears the word ‘DevOps’ for the first time, these are just a few questions that come to mind. While it certainly sounds like fancy technical jargon (which, if we admit, maybe a little true), the concept behind it is shockingly simple. Essentially, DevOps refers to the combination of software development and information technology-related processes that shorten the software development lifecycle. This allows companies and teams to roll out new software in a shorter period of time, including the introduction of fixes, updates, and new features. In our blog post, we dive into all you need to know about DevOps – its history, features, and benefits. Continue reading for a better understanding of this essential component of software development! Like all superheroes, DevOps, too, has an origin story. A portmanteau coined by Patrick Debois back in 2009, the happy combination of the terms ‘development’ and ‘operations’ was a result of agile development, which focused on improving software delivery. Around this time, the IT sector was experiencing a sudden change. Workers began moving away from the traditional software development cycle, towards non-linear, agile methods. These refer to the approach taken where cross-functional teams collaborate to complete tasks and where testing and development, as a whole, takes place in a non-linear manner. Here, each stage of development is made an independent process and testing is undertaken throughout the development cycle. Naturally, this brought about many benefits that were previously untapped in the software development field. Given the emerging practice of incorporating changes on the go and the continuous stream of feedback, software development became exponentially more efficient. Despite this, however, software deployment still remained the same, following the more linear, waterfall methodology, which left testing to be completed at the end of the line. This would slow down the entire process, given that developers had to go back to the root of any issue they discovered. This also left a clear split between IT professionals and software developers. It was while these changes (or lack thereof) were taking place, that DevOps took flight. Seeing the still disparate nature of development and deployment, the concept aimed to merge both these functions in a way that embraced agile methodologies. What are the biggest benefits of DevOps? Given that this approach emphasises the collaboration between software developers and IT professionals, software can be rolled out much faster. Additionally, since testing and the feedback process is continuous, defects are detected much earlier, making the bug fix process more expedient. In fact, recent data shows that companies who utilise DevOps practices make software deployments 46 times more frequent than their competitors. Now, development teams spend less time reworking the software and synchronising their efforts, than ever before. Another undeniable benefit of DevOps is that it ensures that software and its attendant updates and fixes are being released continuously. Given that software teams are expected to deliver constantly, DevOps has reduced the time spent and the effort expended to release a completed solution or platform. Continuous monitoring and testing also improve the quality and functionality of finished products, benefitting end-users exponentially. One of the biggest draws of DevOps for software developers is its ability to cut down on time and resources. As with any task, spending too much time on the same thing can get tedious. You also run the risk of becoming sloppy as a result of sheer frustration. With DevOps, these concerns are eliminated. As we’ve demonstrated, the time taken to develop software and release it is reduced significantly. This, in turn, also means that money and other resources are saved in the process. 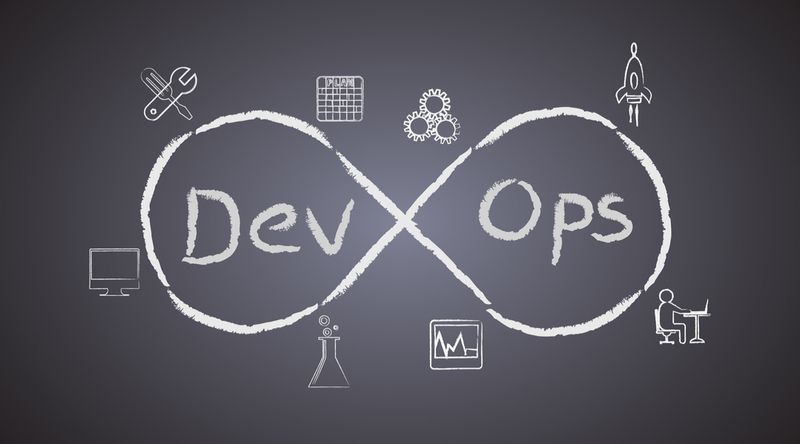 DevOps is a crucial part of the software development industry and for good reason. It has revolutionised the way many platforms and solutions have been delivered, keeping end-users stocked with the latest software, updates, features, and fixes. By understanding the key features of this approach and what you can gain from it, incorporate DevOps automation into your work for a smoother software delivery process and exponential efficiency gains!